Possibility to spend the night at Munich airport (MUC), if open 24 hours. Services available, places to rest (free resting zones), or look for the list of nearby hotels and vip lounges..
Munich airport is sleep-friendly for passengers wishing to spend the night inside the terminals to catch a connecting or direct flight early in the morning. The terminals, in addition to being open 24 hours a day, have several services available through the night, including the information desks. Where to rest: There are resting areas with reclining chairs and a flight information screen. These are situated between gates H32 and 33 (level 5), G16 and 17 (level 4), G43 and 44 (level 4), K22 and K24, and next to gate L4 (level 4). Terminal 2 also offers comfortable lounge chairs and sleeping cabins (through a fee). 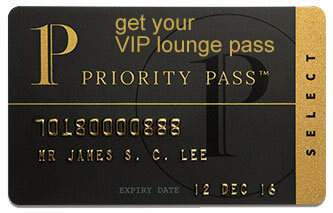 The VIP lounges have more comfortable areas, although they are not available during the night. SEE VIP LOUNGES Passengers who get stranded inside the airport due to a delayed flight or any other incident can request a cot from an airport employee. Inside the grounds there is also a hotel, and many more in the surroundings. Eating and drinking: Some fast food outlets and cafés stay open throughout the night. Baggage: At the Munich Airport Center there is a 24-hour left-luggage service, so passengers can enjoy their stay free of their belongings. Restrooms: Showers in Terminal 2 and the Munich Airport Center, with a paid service, as well as inside the VIP lounges. Wi-Fi: The airport has free and unlimited internet access through an e-mail registration. There are also AC power plugs and USB ports to recharge mobile devices. Other services available around the clock: ATMs, children's play areas, baby changing facilities, gas station, prayer rooms.